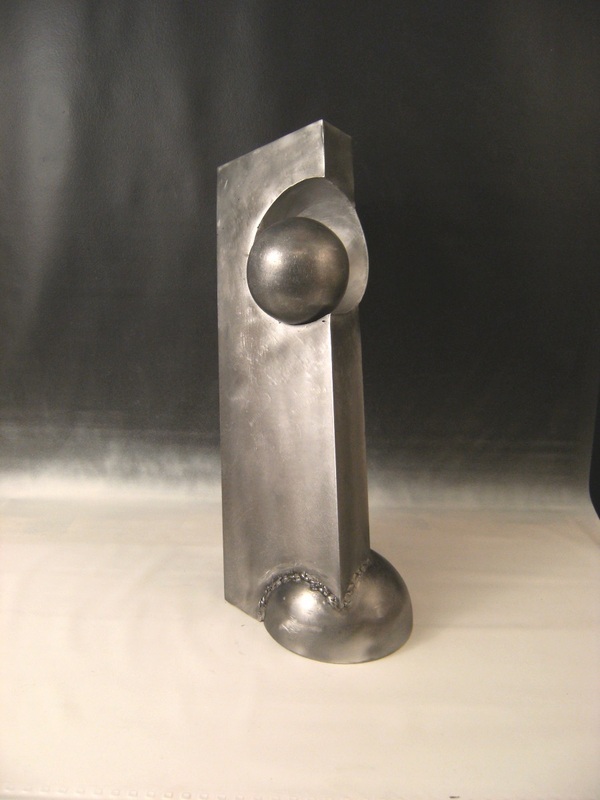 While working in a co-op studio in the 70's my techniques and concepts were influenced by various artist, some of whom worked in abstract and some in figurative art. 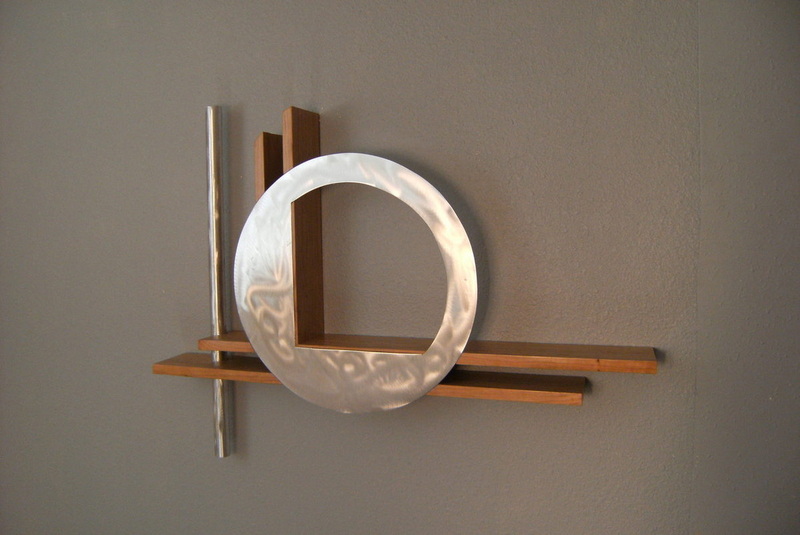 I was fortunate to have had access to many different mediums during this time, so I explored with recycled material, painted metal, fiberglass, wood construction, and metal casting . Even though I tried different processes, the idea of one object passing through another seemed to be a dominate theme. 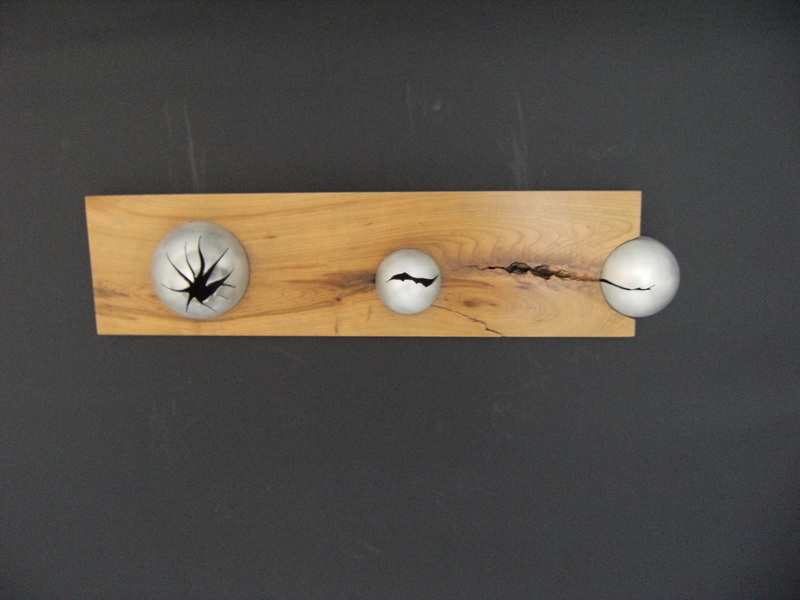 The breaking through of spheres is a way of showing this passing through; the holes or cracks in the wood takes the viewers' vision around the piece. 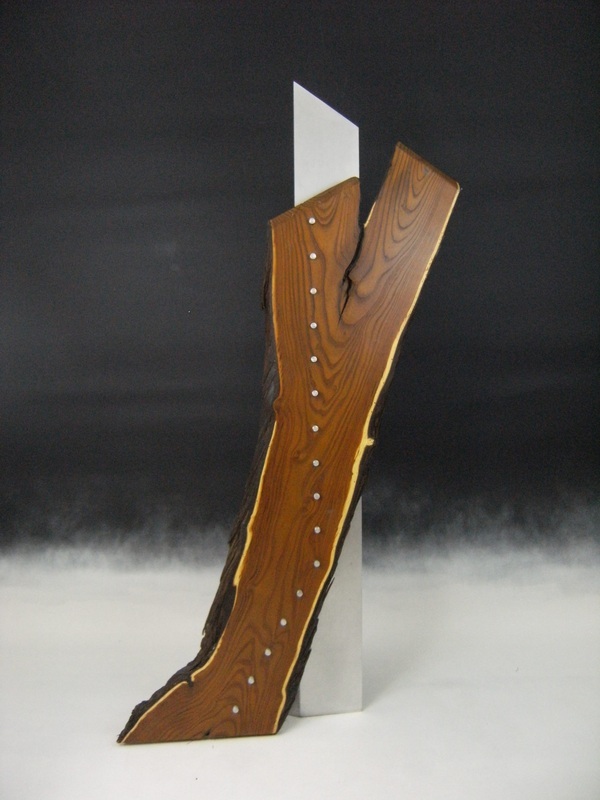 The defects in the wood are usually a starting point for a sculpture, and may end up being the focal point or a design element. 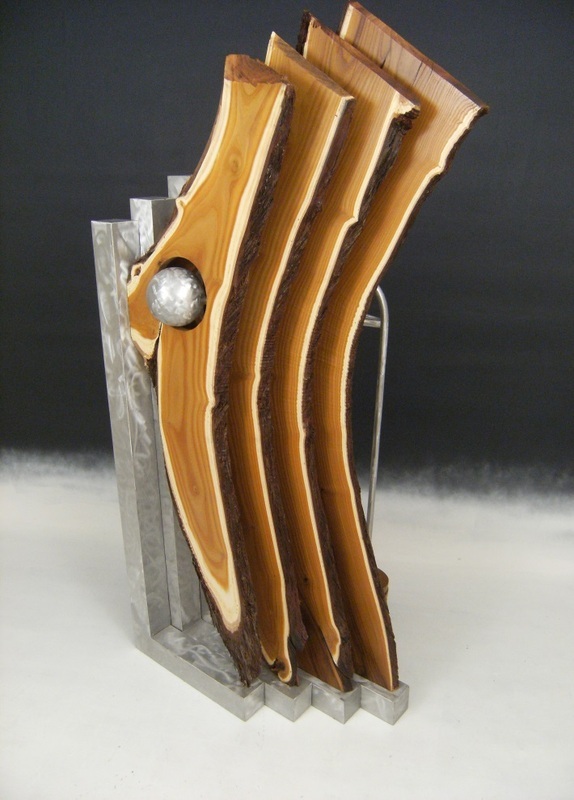 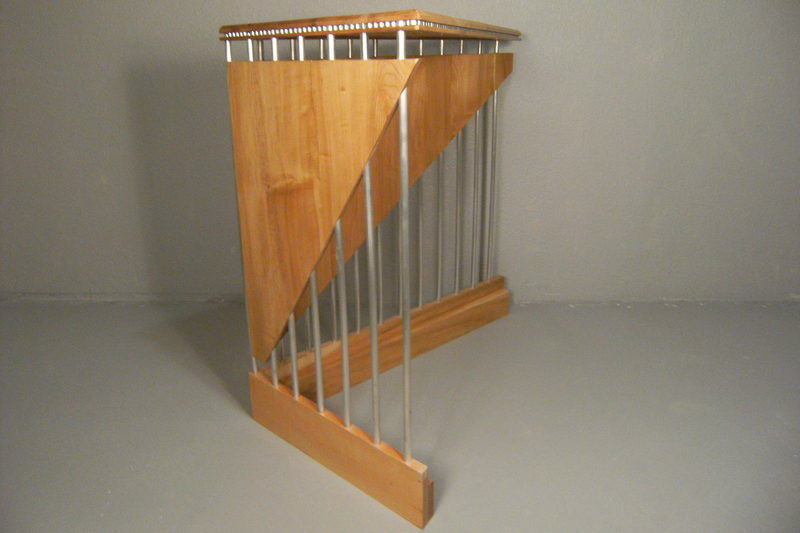 30 years as a cabinetmaker has honed my use of wood wheather I am making fine furniture or creating a sculpture. 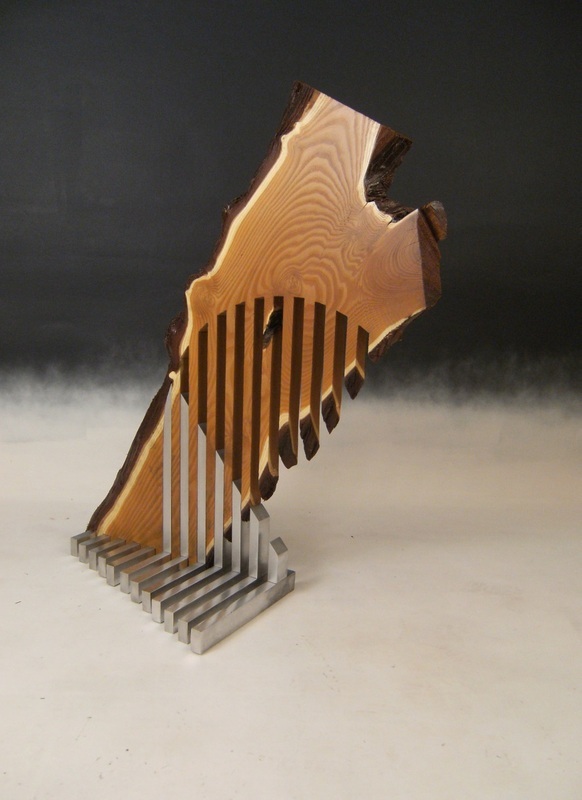 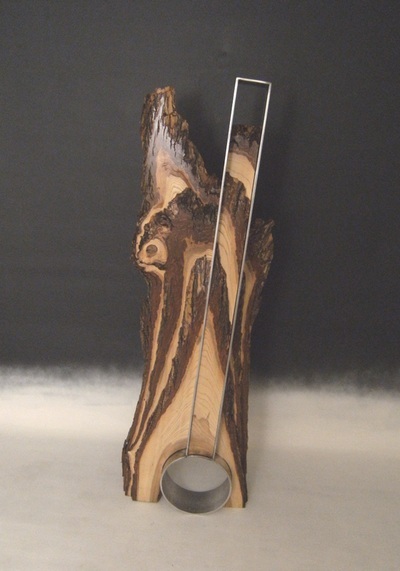 Sometimes I use wood and metal together- the warm, sensual feel of the wood with the sharp lines and hard edge of the metal seem to enhance the quailties of each. Other times in my work I use only metal, and sometimes paint to get my ideas across. This book shows my work through the years, the early works are at the end of the book, even though the pieces change drastically the underlying themes and ideas seem to surface.